How Much Will Your Divorce Cost in Ohio? When you know it's only a matter of time before your marriage ends, the first thing that comes to mind is how much a divorce costs. We always hear about multi-million dollar divorce trials and settlements, but for most of us living in the real world that isn’t a possibility. Like other legal issues, the cost of divorce varies tremendously from state to state and couple to couple. The cost of a divorce varies from case to case, and there are countless variables to consider, but often it can be expensive. A good thing to ask yourself when contemplating filing for divorce is how much you and your partner agree upon. The more you agree, the less the divorce will cost. The more issues that are contested, the more the divorce will cost you. Exactly how much it will cost you depends on several factors. The state of Ohio permits divorce on no-fault grounds, which simply means incompatibility and/or living separate and apart without cohabitation for the period of one year. In Ohio fault grounds include bigamy, habitual drunkenness, willful absence from the home for one year, adultery, extreme cruelty, fraudulent contract, gross neglect of duty, imprisonment, and out-of-state divorce. Another factor that increases the cost of a divorce is the presence of minor children born of the marriage. Children bring up emotional issues and often parties do not agree upon child custody and support costs. Even in an amicable divorce you may need to hire an expert--such as a child psychologist--to write a report on your behalf or you may need to subpoena several years of bank records to establish child support payments. This will result in costs over and above those paid to your attorney. Although asking how much a divorce will cost is similar to buying a house--there are a lot of factors to take into consideration--a contested divorce that goes to trial is the most expensive way to end a marriage. 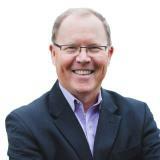 According to a Forbes magazine article, a dissolution has a national average of under $5000. A contested divorce has an average cost of about $15,000. So what is the difference between the two? Dissolution is often confused with an uncontested divorce. They are two different things. A dissolution is not a divorce, but an agreement between both parties specifying how they want to dissolve their marriage. Since there is no protracted court battle, both fees and stress levels are generally lower. An uncontested divorce is when on spouse files for divorce and the other spouse fails to respond within 42 days (in Ohio). Then the judge grants the filing spouse the divorce. Sometimes "as is" and sometimes with some modification aimed at a fair settlement. Whereas a traditional divorce allows the filing party to assign blame for the breakup of the marriage, that option is not available in a dissolution. Instead, the couple must choose from among no-fault grounds, such as incompatibility or living separate and apart for at least one year. Fees for divorce petition filing, notary fees, expenses and legal and other necessary paperwork--along with copies. Attorney fees to settle the matters of property division and/or child custody, child visitation rights, child or spousal support. Attendance of you and your attorney for a brief court hearing. Any fees required for final submission of the divorce petition to the court. Filing fees for dissolutions are lower than those for divorces, although the fees for both procedures are higher if there are children involved. The filing fees vary county by county but generally are within the range of $300-500. A dissolution of marriage process may eliminate much of the time and expense of a contested divorce. But not every uncontested divorce is the same and not every dissolution runs smoothly. A dissolution is simplest when a couple has no children under 18 and few assets, including no real property. It also works best if each spouse is self-supporting or clearly capable of easily becoming self-supporting. But the majority of couples don’t fall into this category. Division of all debt incurred while married. How the two partners will share parenting time and responsibilities. The duration and amount of any child support. The amount and length of time of any spousal support--otherwise known as alimony. The division of property purchased during the marriage. Couples with minor children or substantial assets will generally be able to proceed through an uncontested divorce if they are able to agree on the issues listed above.A couple that has minor disagreements in one or two areas may still be able to avoid a contested divorce in court, but they will need to negotiate with each other until they have reached complete agreement. If they are able to put their emotions aside and communicate well a couple may be able to negotiate directly. If this is not feasible they can choose to go to a mediator or attorney for help in resolving their disagreements. If you choose to use a lawyer, the cost of your uncontested divorce will depend on where you live, who you hire and your fee arrangement. Many attorneys offer flat fees for uncontested divorces; others charge retainer fees, which act as deposits they bill against monthly for the hours they invest in cases. A dissolution petition is not filed with the court until the parties have reached an agreement on all the issues that must be addressed in a divorce matter. Besides saving money, a dissolution can save you time as well. The party filing for the no-fault divorce need only to appear in front of a judge for a short time. At that time, the agreement will be reviewed and Final Judgment of Dissolution of Marriage will be entered. A divorce case is considered "contested" when the parties disagree on one or more issues. Even if couples agree that they want to get divorced, if they can’t have a complete agreement as to all of the issues then the divorce is considered contested. When this happens one party files a Petition for Dissolution of Marriage and requests court intervention. The other party is expected to respond accordingly. If you and your spouse are unable to mediate and come to an agreement on such issues as property division, child custody, or spousal support, your next step will be divorce court. You will both have to pay attorneys and other experts to advocate on your behalf in court. There will be court fees and filing fees to pay. Keep in mind that a divorce gets even more expensive if a spouse lets their anger or feelings of wanting revenge against the other spouse interfere with their decisions. The division of marital property involves complications--a business, a variety of types of real estate or several vehicles. The couple is unable to agree on the sharing of debt acquired while buying marital property. Spouses cannot come to an agreement on living arrangements or responsibilities concerning a child under 18. There is a disagreement regarding payment of child or spousal support. 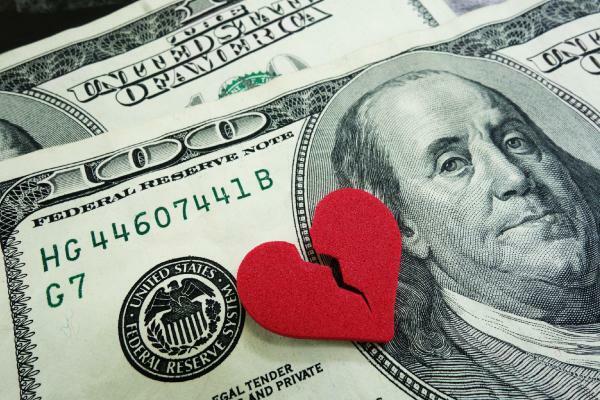 The cost of divorce also increases with the amount of income the couple makes each year, the assets and property they've accumulated-- from a vacation home to retirement funds-- to the number of children they have. The amount of time a couple has been married can also make a difference. The biggest factor determining how much you will pay for a divorce? The state and county where you live. When an agreement is reached and filed with the court, a hearing must take place within 30 to 90 days. Both parties must appear and testify that they are satisfied with the agreement; that they have made full disclosure of all assets and liabilities; that they have voluntarily signed the agreement; and that they both want the marriage dissolved. The court must also approve the parties' agreement. The cost of ending your marriage can be managed just like a household or personal budget. That being said, if you have assets you want to protect, your first concern should not be getting divorced as cheaply as possible. When it comes to getting a divorce, you may have to end up spending money in the short term to save money in the long run. Want to know how much your divorce will cost? Answer a few simple questions using our free Attorney Fees Calculator for an estimate. Do you have any questions about this or any other legal question? Contact Jack’s Law Office at (740) 369-7567. What is a Legal Separation and What are the Main Benefits?